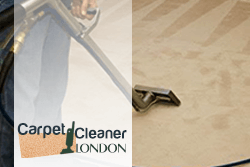 Top quality carpet cleaning services in Charlton, SE7 London at the most competitive price. Have you noticed that the carpets and rugs in your home don’t look as good as the day you bought them? This especially applies for carpets and rugs that are situated in high-traffic areas and accumulate a lot of dust and grime. We are here to offer you a great opportunity to restore the original condition of your carpets without spending a lot of money. Thanks to our professional carpet cleaning service, you can solve all your hygienic issues and enjoy clean and fresh carpets and rugs. 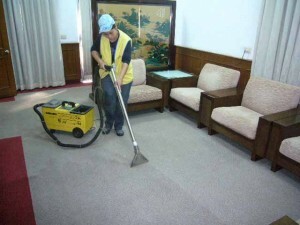 We have a lot of experience in carpet cleaning and the hundreds of satisfied customers are an undisputed proof for the quality of our carpet cleaning service. Our goal is to offer the most reliable and qualitative carpet cleaning package without charging our clients a ton of money for our services. So far, we are doing well and we offer one of the most affordable and qualitative carpet cleaning packages in the London area. All carpet cleaning is carried out according the highest standards, by a team of experienced and trained carpet cleaning technicians in Charlton. They’ve been taught to use the most modern cleaning methods and with the help of professional cleaning equipment they can get rid of the toughest stains and spots. We treat all carpets with strong cleaning detergents which are environmentally-friendly and non-toxic. The products we use dissolve stains and destroy 99% of the bacteria and germs that breed beneath the carpet’s surface, so we guarantee exceptional hygiene and cleanliness. You want to hire professionals for your carpet clean, but fear it would cost you a fortune? This couldn’t be further from the truth! The expert carpet cleaning we provide across SE7 London is budget-friendly, reliable, and flexible in terms of scheduling. What sets us apart from other companies is our fairness to customers. We never surprise with hidden fees as we set our prices in advance, depending on the results of our free inspection. Our technicians will identify the stains’ origin in order to ensure their effective removal. The carpet will be vacuumed and pre-conditioned to allow grime and stains to loosen. Finally, we steam clean, deodorise and leave you with a brand-new looking carpet. We never disappoint!